ASTM B162 / UNS N02200-N02201 / DIN 2.4066-2.4068. Nickel 200 Sheets, UNS N02201 Sheets and Plates, ASTM B162 Nickel 200 Hot Rolled Plate, Nickel 200 Coils, Nickel 201 Plates, DIN 2.4068 Plates and Coils, WERKSTOFF NR. 2.4066 Sheets, Plates & Coils, UNS N02200 Sheets and Plates, Nickel 201 Cold Rolled Sheet, Plates & Coils Supplier in Mumbai, India. Nickel 201 Perforated Sheet, Corrosion Resistance Nickel 200 Sheets & Plates, Nickel Alloy 200 Slitting Coils, Nickel 201 Diamond Plate, Nickel 200 Chequered Plate, Nickel 201 Shim Sheet, Nickel Alloy 200 Polished Plates, Nickel 201 Strip, Plates & Coils Exporter, Nickel 200 Circle, Nickel 201 Galvanized Coils, Nickel Alloy 200 Export Polish Sheets, Nickel 201 Foils, Nickel 200 Plain Sheets. So you are looking for buying the stunning quality of Nickel 200/201 Sheets Plates. At present Jayesh metal industry is involved in offering the stunning quality of sheet plates that is produced by making use of stunning quality of raw materials. The raw materials are being sourced from reliable market vendors. Addition to it, the industry is assuring in making effective use of latest tools and modern technology that is resulting in the good quality of item production. The dimensions of it are ASTM, ASME, JIS, DIN, EN, BS, GB etc. The size in which it is available is 1000mm x 2000mm, 1500mm x 2440mm, 2000mm x 2000mm, 1220mm x 2440mm and 2000mm x 4000mm. The form in which it is available is the plain sheet, blank, ring, strip, flats, blanks etc. 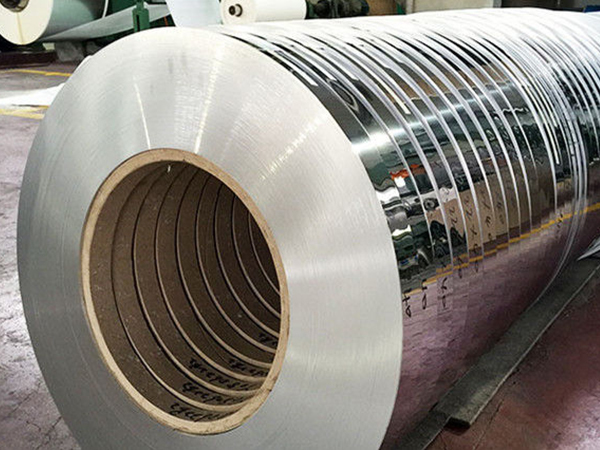 The finishes of it are the hot rolled plate, cold rolled sheet, 2B, 2D, SATIN, No8, BA etc. the hardness of it is spring hard, quarter hard, soft, hard, half hard etc. The Nickel 200/201 Sheets Plates is passing through various testing to assure high quality of production. The tests are like PMI test, IGC test, hardness test, flattening test, flaring test, pitting resistance test, chemical test, mechanical test, macro test, micro test etc. The producers are offering MTC in accordance to EN 10204 3.1/3.2, third-party inspection report, lab test report. The product is packed using wooden boxes, wooden crates, wooden pallets, carton boxes etc to give full safety when shipped internationally. This makes the buyer to get exactly what they demand from the dealer. nickel 200 profile dealers, nickel cold rolled coils supplier, 26 gauge nickel coil, nickel alloy 201 shim sheets, nickel 200 sheet manufaturer in mumbai, cold rolled nickel alloy 201 coils mechanical properties, nickel alloy 201 sheet supplier in india, nickel 200 plate price list, 200 nickel sheet, nickel alloy 201 coils weight, galvalume nickel alloy coil, nickel 200 coil manufaturer in india, hot rolled coil uses, 200 nickel plates, nickel alloy 201 coils price list, 200 sheets specification, nickel alloy 200 hot rolled plates dealers, nickel alloy 200 hot rolled plate stocks, astm B162 nickel alloy 201 circles exporter, galvanized nickel coil prices, nickel 200 sheet exporter in india, nickel plates exporter in india, 201 nickel coils, nickel 200 sheet manufaturer in india, nickel alloy 201 blank suppliers, nickel alloy 200 plate price list, nickel 200 sheet supplier in mumbai, nickel 201 coils exporter in mumbai, nickel 201 cold rolled sheet distributors, hot dipped galvanized nickel alloy coils, nickel alloy plates price india, nickel alloy cold rolled plate supplier, nickel alloy 201 sheet price list, nickel 200 sheet exporter in mumbai, nickel 200 sheets price, pre painted nickel 201 coil suppliers, nickel coils exporter in india.